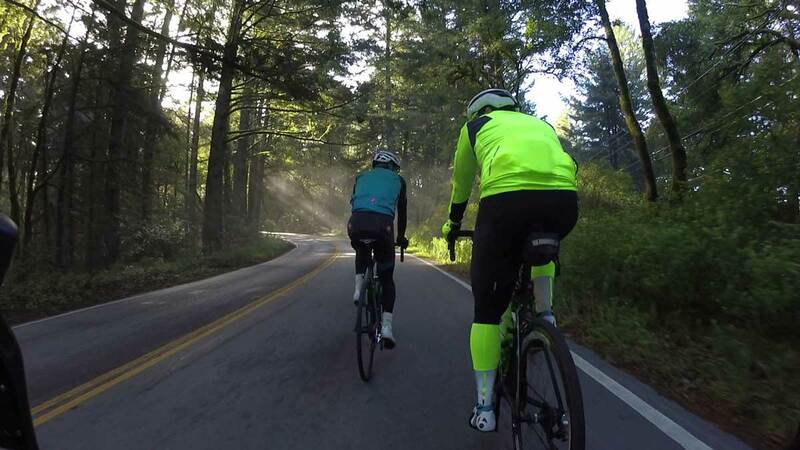 Last Thursday, temperature averaged 39 degrees for the ride. Today, temperature averaged… 39 degrees. Last Thursday, there were 4 of us (myself, Kevin, Kevin & Karen). Today, there were 4 of us (myself, Kevin, Kevin & George). Last Thursday, I was starting to come down with whatever this nasty cold going around is. Today, I’m starting to recover from whatever that nasty cold going around… was. Last Thursday, I couldn’t get my heart rate up and was well of the back. Today, I actually rode up ahead of “pilot” Kevin and George, catching up to (younger) Kevin on Kings and finishing just over a minute ahead of them. To be fair, “pilot” Kevin was pretty worn out from a really hard ride yesterday, but anytime I’m not last on a climb feels like a minor victory! Yes, it will be really nice when we can definitively say good-bye to the end of the cold & wet season and welcome warmer & sunnier days ahead. I’d hoped last Thursday would have been the last cold day, but at least I did a fair amount better today, giving me some hope. I even took on Kevin on that steep pitch at the end of West Old LaHonda. First sign of real improvement in a very, very long time. Thought we were done with cold weather, but this morning, 4/19/18, it was 38 chilly degrees F outside our back window. Won’t complain too much, though. Spent 4 days in NYC last week, where temps. went from high of 78 to 36 in just a few hours. On one of two warm days, I managed to survive a 25 mi. ride on a 35 lb. Panasonic road bike with skippy gears from Brooklyn, over the Brooklyn Bridge, through lower Manhattan, up the Westside Greenway cycle track and back. The trickiest part was lugging that clunker up 4 flights of steep stairs at the end of the ride. Glad to be back riding on my Proj. 1.